Exceptional research and exquisite dining share some common elements. A memorable dining experience includes excellent cuisine. It also features notable presentation. At the Real Estate Center, our quality research is enhanced by the way we present the results. 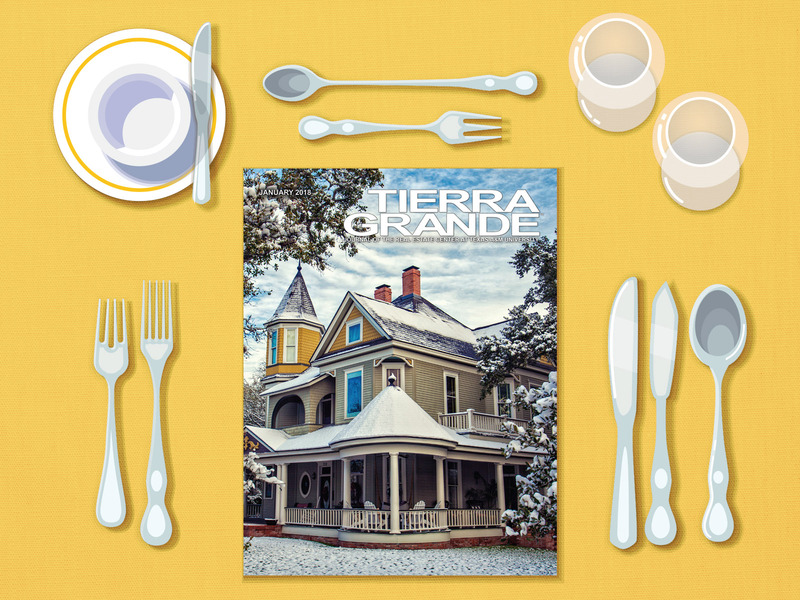 The Center's ​​most recent survey of Tierra Grande readers revealed that 72 percent of readers prefer to receive the magazine in printed, hardcopy format versus the electronic digital version we offer online. The results are not surprising given the demographics of our readers and the pervasive fact that to reach all stakeholders and audiences, an organization like ours has to use all available communication media. It's obvious from reader comments that many appreciate the effort we put into quality packaging research results. One survey respondent said, “I enjoy your magazine. I'm proud to share it with friends and clients when I find an article I think they would be interested in. The high-quality finish, great topics, and awesome photography help make​ the real estate profession look top-notch." Increasingly, we at the Center are relying upon social media in addition to conventional print and digital or online outlets to disseminate the results of research. While we explore new communications pathways, our commitment to research quality remains unchanged. The breadth and caliber of the data and research conducted by Center economists is well known. However, equally important and impressive is the record of accomplishment of the Center's editors and communications team. Since 1979, the Real Estate Center has received more than 200 local, regional, national, and international awards for communications expertise. Many of those awards were from the International Association of Business Communicators, including 32 Silver Quills and three Gold Quills, IABC's highest award. As the Center's audience transforms over time to those younger in age, whatever the prevailing social media platforms are at the time will likely lead the way in disseminating information. We will be ready and able to respond when this happens.